Inequalities and their graphs Standard Students will match inequalities with their graphs. >, >=, < and <=. Inequalities and their graphs 2 Standard NEW! Student will draw graph for given inequality. Inequalities and their graphs 3 Standard NEW! Given graph, write the inequality. Inequalities and their graphs 4 Standard NEW! 10 draw the graph for given inequality. 10 given graph, write the inequality. Inequalities and their graphs 5 Maze NEW! Students find the path from start to end by shading in correct graph and inequality statement. Inequalities and their graphs 6 Riddle NEW! Students match graph to inequality statement. All operations 1 Riddle Positive only. No graphs. All operations 2 Standard Basic one-step integer inequalities. Students will graph the solution set. All operations 3 Riddle NEW! No graphs. Basic one-step integer inequalities. All operations 4 Matching Cards NEW! 12 problems. Basic. Students will match solution and graph to inequality. All operations 5 Color by Number NEW! Easy integers. Koala. 20 problems. 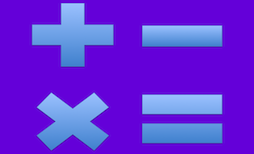 Solve using addition and subtraction 2 Riddle Students will match each problem with its correct solution graph. All Operations Riddle 20 problems, no graphs. All Operations Riddle Mixed and proper fractions. Two Step Inequalities Riddle Basic two-step integer inequalities. Students will match each problem with its correct solution graph.